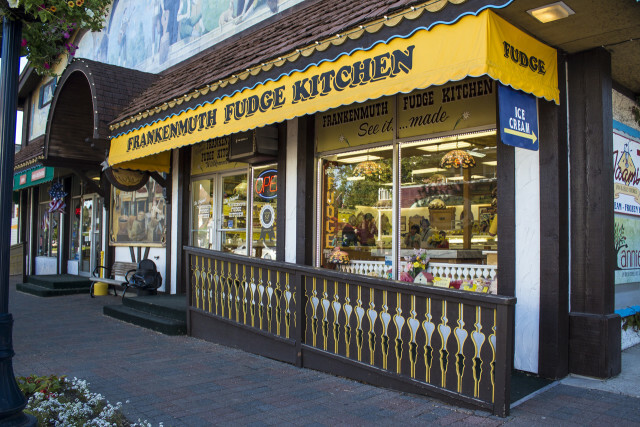 Original Frankenmuth Fudge made from the original recipes in copper kettles and hand paddled on thick marble slabs. We combine only the finest ingredients: dark, rich cocoa, sweet creamery butter, thick cream, natural sugars, full bodied flavors, Georgia pecans, Michigan cherries, Hawaiian coconut, and more! Everything is made fresh daily for you to view. Over 100 tons are made yearly on 25 marble slabs. 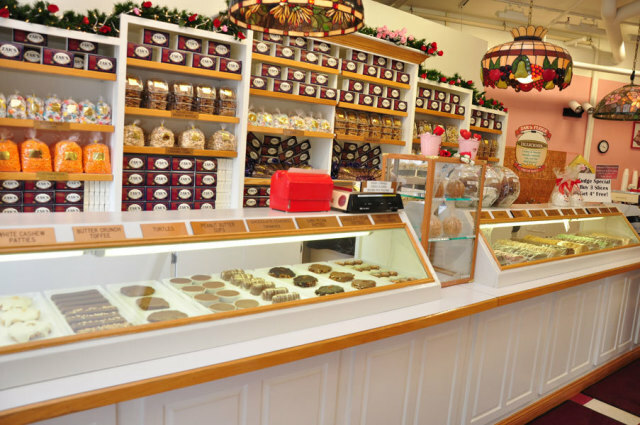 We dare say we've delightfully satisfied many a Michigan sweet tooth! 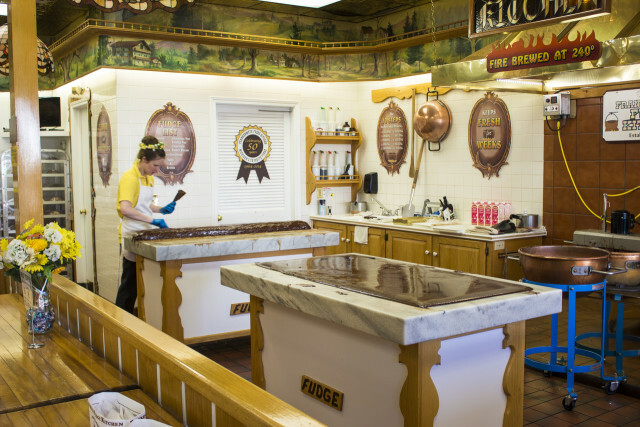 Visit us soon, try our FREE SAMPLES, and win FREE FUDGE in our Fudge Trivia Contest that goes on all day every day during our busy season.